Researchers Revealed introduces scientists from the Biodiversity Research Centre, and the work that they are doing. From oceans to deserts to far-off jungles, these researchers are roaming the globe and uncovering the answers to questions they have about our world. Come see what questions these scientists are asking, and discover how they are answering them. 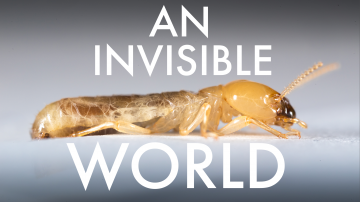 Microbiologist Filip Husnik takes us inside the hidden world of termites, and the alliances they form in order to break down wood. Cole Burton deploys a large network remote cameras called “camera traps” to study human-wildlife co-existence. 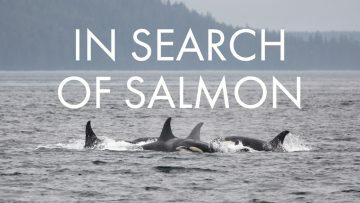 Mei Sato and Andrew Trites use cutting edge hydro-acoustic technology to explore the issue of food availability for southern resident killer whales. Why study coral reef ecosystems? Coral reefs are more sensitive to climate change than almost any other ecosystem on the plant. By understanding how corals respond to rising temperatures, Simon Donner hopes to help prepare for a warmer future. How do you know what organisms lived in an area before there were photographs or written records? Jenny McCune studies the Garry oak ecosystem which, in British Columbia, is only found in a narrow range in the southwestern corner of the province. How do two different populations in a species become two different species? Kate Ostevik looks at prairie sunflowers that may all look similar, but one type grows on the shifting sand dunes in Colorado while another prefers more stable grassy soils. As coastal tidepools heat up and lose oxygen, how do the fish trapped within them cope? Milica Mandic believes that if you’re a fish, like a sculpin, the rising temperatures, evaporation of water, and consumption of oxygen by other organisms means that conditions in tidepools might soon become challenging for survival. What factors influence the types and number of marine invertebrates found in a seagrass community? Seagrasses conceal a hidden community of animals that live directly on their underwater leaves. These organisms are called epifauna, and understanding them has been the endeavour of Ross Whippo. How do animals deal with logging and hunting? Dr. Jedediah Brodie works in the jungle of Southeast Asia, investigating where animals live and how they deal with human disturbances like logging, hunting, and climate change. What factors influence the rate of decomposition in forests? 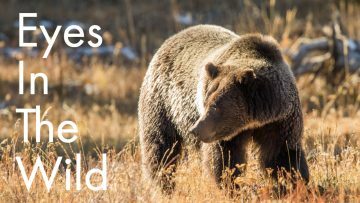 Tonya Ramey investigates the animals and processes which help sustain our forests. Do birds from one population group stay together through their migration to the tropics and back? Have you ever wanted to follow the birds south for the winter? Kira Delmore knows where they go.